Xclaim Xi-2 Indoor Dual-Band (2.4GHz & 5GHz Concurrent) 802.11n Wireless Access Point. 2x2 Spatial Streams. Includes PoE Adapter. 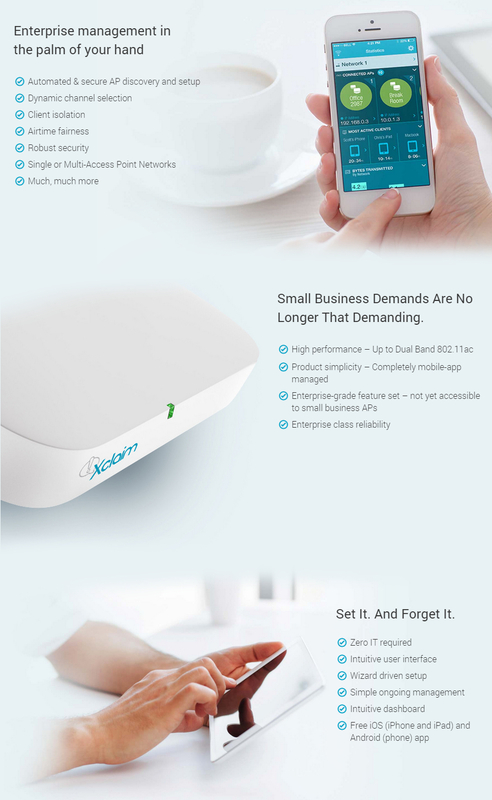 600Mbps for small and medium business use. Please be advised that effective July 25th, 2018, Xclaim (Ruckus Wireless) announced the End of Sale of all models of Xclaim access points. In order to give ample time for migration, the Xclaim Cloud Manager and forum-based support will continue in service for three years after the End-of-Sale date of the Xclaim APs as shown below. Please note that the Harmony app for iPhone and Android is no longer available. From July 2021, all customers using the Cloud Manager service should migrate existing Xclaim access points into standalone mode. enabling an all-wireless work environment. The Xi-2 AP is perfect for high-density environments with demanding Wi-Fi needs for both employees and guests. Free technical support - Forever! Click the button below to add the Xclaim Xi-2 Dual-Band 802.11n Indoor Access Point - 600Mbps to your wish list.